Edmonds Community College helps students access educational and career opportunities in a supportive environment that encourages success and lifelong learning. Edmonds Community College offers 68 associate degrees and 58 professional certificates in 29 programs of study. 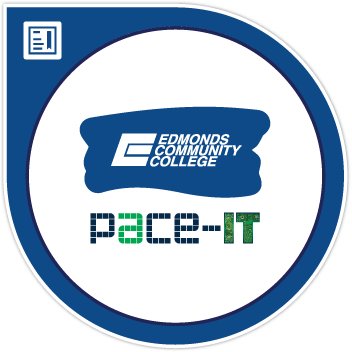 The PACE-IT Program is a self-paced, competency-based program that teaches the skills needed to prepare learners for industry-recognized certifications that will prepare them for information technology jobs.